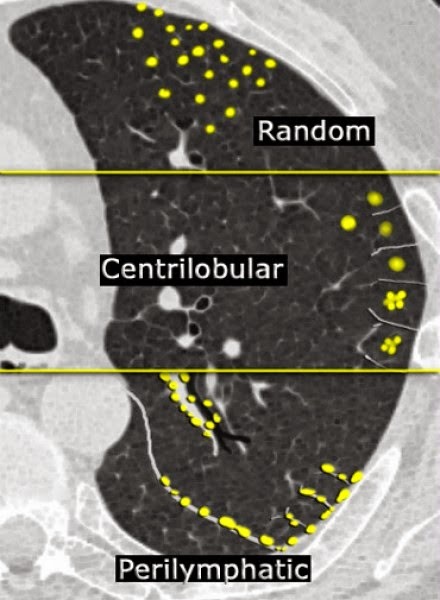 Here a typical case of perilymphatic distribution of nodules in a patient with sarcoidosis. 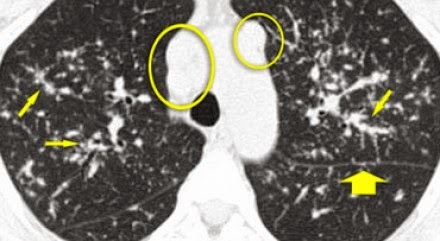 Typically in sarcoidosis is an upper lobe and perihilar predominance and in this case we see the majority of nodules located along the bronchovascular bundle (yellow arrow). Another typical case of sarcoidosis. 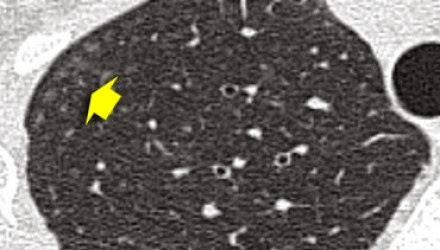 They are called acinair nodules. 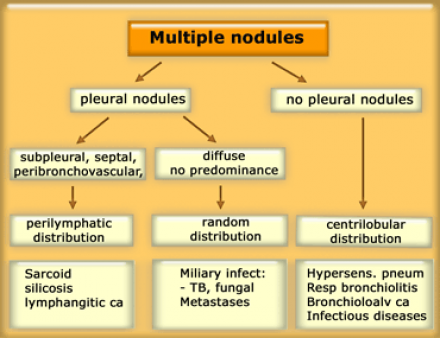 less often, an airway disease associated primarily with mucus retention (allergic bronchopulmonary aspergillosis, asthma). Here a tree-in-bud is seen. 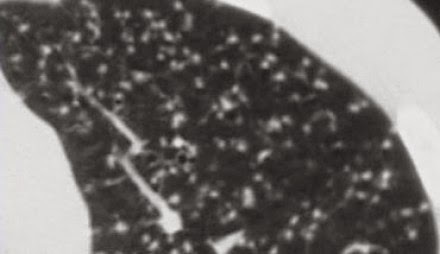 HRCT of a patient with random nodules as a result of miliary TB. 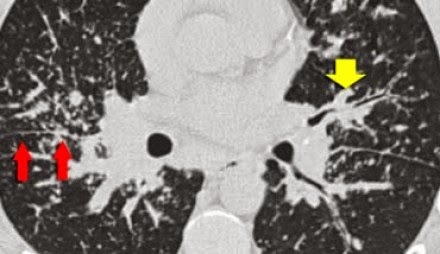 Sarcoidosis usually has a perilymphatic distribution, but when it is very extensive, it spreads along the bronchovascular bundle to the periphery of the lung and may reach the centrilobular area. 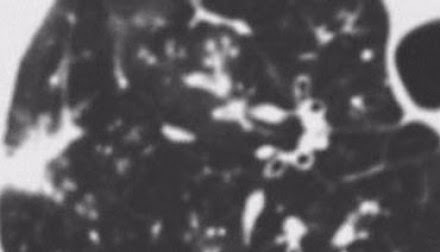 Langerhans cell histiocytosis is an uncommon disease characterised by multiple cysts in patients with nicotine abuse. In a very early stage, these patients show only nodules, that later on cavitate and become cysts (figure). Subscribe through the email or follow the blog to get next updates for free.